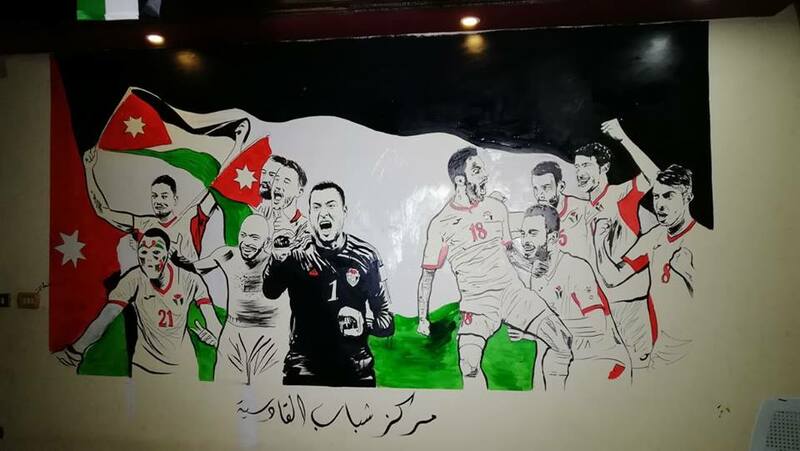 Young artist Raed al-Khawaldeh painted a mural at the Qadisiya Youth Center in the southern province of Tafila depicting the national football team players. The artist told Roya that the mural came after a quick doodle he had drawn spread across social media and ending up with the Ministry of Youth contacted him to draw a mural inside the Youth Center. Khawaldeh said that this mural is a tribute to the players of “AlNashama” team, celebrating their great achievements in the 2019 AFC Asian Cup.